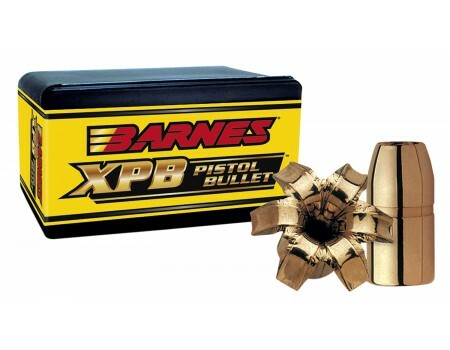 Featuring Barnes' patented X-Bullet technology, all-copper XPB bullets offer dramatically increased penetration over conventional jacketed lead-core bullets. These lead-free bullets provide superior expansion and weight retention. Energy transfer is unsurpassed, making them ideal for hunting or self-defense. 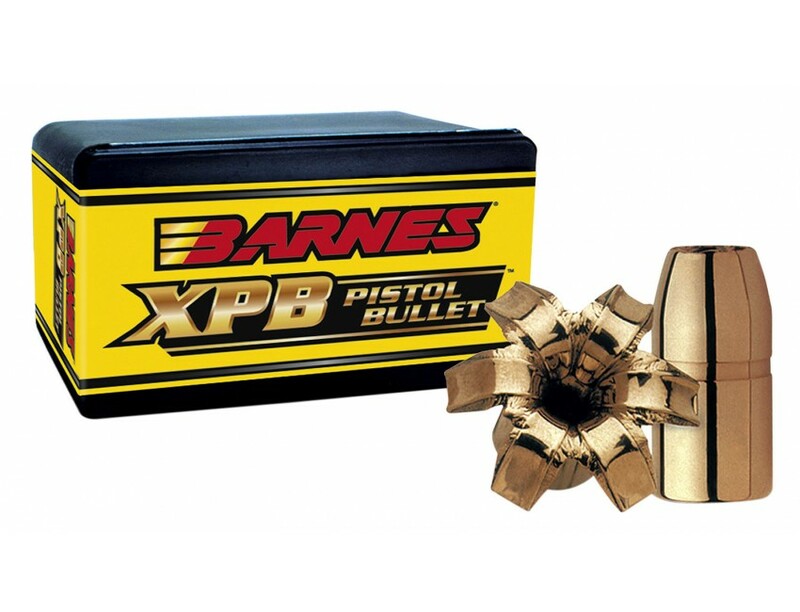 Barnes' XPB bullets are exceptionally accurate and leave no residue to harm shooters in practice environments. XPB pistol bullets used with a sabot can also be used in muzzleloading rifles.